The next evolution in the V8 Vantage species was the Vantage Zagato variant, essentially a rebodied Vantage with the uprated S.A. spec. engine. Capitalising on the market for limited edition ultra high performance cars of the mid eighties, Aston Martin launched the V8 Vantage Zagato at the Geneva show in March 1985. Reestablishing their successful partnership with Zagato from the 1960s, the result was an interesting looking 2 seater with a projected top speed of 300kmh. To prove the initial concept and establish the performance envelope, a 1978 V8 Vantage, chassis V8/11967/RCAV, was used as a development mule. Weight was pared out of the car to bring it in line with the Zagato’s aim of 3600 lbs. Air conditioning and all ancillaries were removed, perspex windows fitted, the interior gutted of all trim and carpets, a smaller fuel tank of five gallons fitted, rear under valences and spare wheel well cut out. Special Zagato seats were fitted and the brake servos re-positioned to the back seats where they would be on the Zagato. One of the uprated S.A. specs. 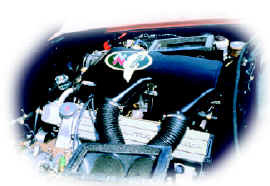 engines was installed along with a modified air box for the carburetors. Revisions to the suspension included variable rate springs all round and re-calibrated Koni shocks with new 16" wheels and tyres. Suspension geometry was again altered to accommodate these changes. Having confirmed the feasibility of the concept with the Zagato mule the first chassis were built up in Newport Pagnell and shipped to Zagato in Italy. These were essentially V8 Vantages with no aluminium body work, revised suspension and uprated engines. Once in Italy, Zagato removed the rear foot of chassis and clothed the body in light weight alloy panels designed primarily within the aerodynamic constraints of reaching 300 kmh. Later aerodynamic testing would prove the drag co-efficient to be around 0.29 before a small front air dam and rear spoiler were fitted to reduce lift. Aston Martin finally proved the performance of the prototype Zagato, chassis number V8ZGR20010, on the autoroute near Paris on July 8. They had been promised a closed section of road to perform their testing, yet upon arrival at the designated site the local gendarme explained they could test during lunch while they turned a blind eye. 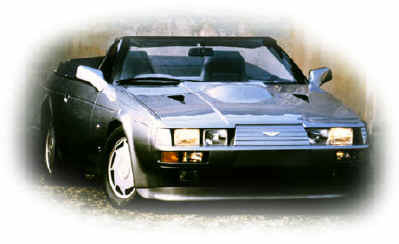 On July 8, 1986 at 21.30 a mean speed of 298.75 kmh was timed amid the French traffic on a car with a failing clutch. It is doubtful production Zagatos could match this speed as the prototype was fitted with a higher final axle ratio of 3.058:1 and a highly tuned engine pumping out around 430-440 bhp. Standard cars received a lower ratio of 3.54:1 and engines putting out around 410 bhp with twin air pumps fitted to meet EEC clean air regulations. In all 51 Zagato coupes were built by the end of 1988, chassis numbers V8ZHR20011 to V8ZHR20061. A further twelve Vantage engined Zagato Volantes were built with full specification engines fitted by the service department and reworked noses similar to the coupe version.